I read this insightful and inspiring article in the Entrepreneur magazine. 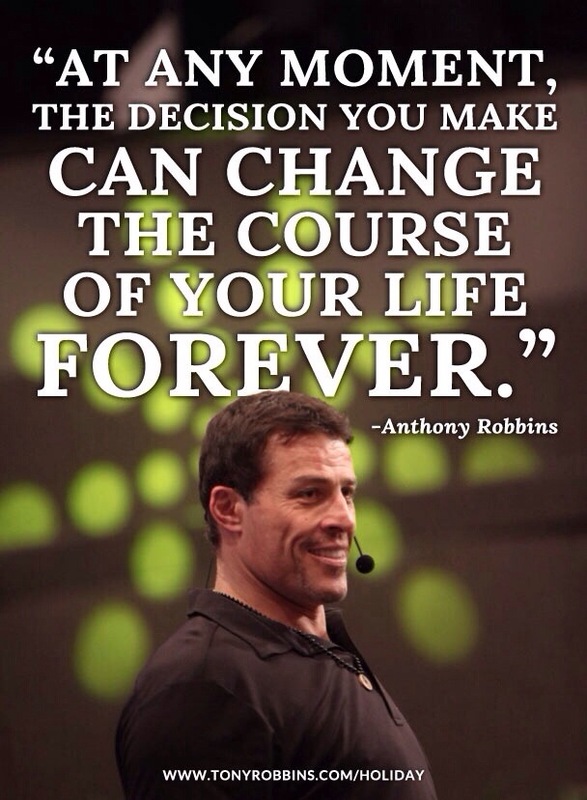 It featured an interview with one of my favorite authors and thought leaders, Anthony Robbins. These simple pointers are home truths and there are so many nuggets at very nook and corner. I took away truckloads of ideas and I wanted to share the complete interview. Robbins: They’re the seven parts of any business that have to be consistently managed to consistently grow and succeed. Most people know that 50 percent of all startups are gone within the first year and that 96 percent of all business fail after 10 years. Why do so many business fail? Because even a small business requires consistent improvement in many areas simultaneously in order to compete and win. Oftentimes, entrepreneurs have some core skill sets — perhaps they’re extraordinary at writing code or creating extraordinary products — but their marketing skills are low. Or, their marketing skills might be off the charts but their inability to make effective financial analysis in the end destroys all they’ve built. They make poor decisions, and decisions shape our business destiny. So, for a quick review, it’s best to start with the end in mind. The seventh force and ultimate outcome for any business is to create raving fan customers and culture. Satisfied customers leave you when somebody gives them a better deal. Raving fan customers are loyal, they know who you really are and they stick around even when you screw up because you’ve consistently added value to them in a way that nobody else can. After that, the first force that will shape a business is knowing where you really are and creating an effective business map. The biggest challenge for business leaders is that they’re not honest about where the business really is. They often see it better than it is, which keeps them going but it causes them to have blind spots that inevitably undermine or even destroy the business. Knowing what business you’re really in, or what business you need to be in long term is critical. Knowing why you’re in the business and ultimately what outcomes you want the business to serve is critical for a business owner. Then, you have to know who you are and who you need in order to have long-term success. You also need to know where you are. Every business has a lifecycle, just like a human being. Is your business in the toddler stage? Is your business in its prime? Is it aging? What to do in your business is completely controlled by where you are. Then you can decide where you want to go. The second force of business is strategic innovation — finding a way to meet your client’s needs better than anybody else. Some companies innovate so often that they put themselves out of business because they are not being strategic about it. The fourth force is sales mastery systems. It’s great that your marketing strategy is attracting clients, but that doesn’t mean anything unless you produce continued growth and sales. The fifth force that business leaders must understand is the power of both financial and legal analysis. If you aren’t able to understand and analyze the financial condition of your business on an ongoing basis, you’re like a pilot of a plane who doesn’t know how to read the gauges in front of him. It’s easy to fly when there are clear skies (i.e., a good economy), but when you find yourself surrounded by storms and fog, if you can’t read the gauges, you’re going to crash. It’s only a matter of time. Finally the sixth force is where you can create explosive growth in your company. Most people think in order to have explosive growth they have to make giant changes. In reality, if you understand the force of optimization and maximization of your people and processes, you can grow your business consistently while others are taking wild risks that don’t always pay off. Entrepreneur: How can a business owner grow his or her profits by 50 percent in the next 12 months? Robbins: The key to making documented, explosive profit gains is optimization and maximization. The goal is to make small, incremental changes that all together make your entire business significantly more efficient and profitable. If you’re not doing this already, you’re working hard every single day and you’re still not at the level you deserve. The secret is, little things aren’t little — they’re everything. Those little details — every lead you generate, every margin you increase, every promotion you run, every transaction you make, every sales person you hire — if you don’t measure it, you’re not managing it. So you’re not managing the driving force of what comes into your business to get those profit levels you deserve. We’re treasure hunters. We know there’s treasure in our business, no question, and we’re going to find it no matter what it takes. If we try something and it doesn’t work, we’re going to try something else, and if that doesn’t work, we’ll make another change, and if that doesn’t work, we’ll shift something else until we get the result we’re after. Entrepreneur: You say that looking through “a new filter” can help entrepreneurs uncover solutions to business problems. What do you mean by that? Robbins: There are basic keys that offer entrepreneurs solutions, keys like finding a way to get more clients, and finding ways to increase your average transaction value. But beyond those basic keys, you need fresh perspective, or what I would call a new filter. Take pricing for example. I did my first seminars for free. I advertised, I marketed, I did everything. I showed up in this room, I expected 500 people. Seven people showed up. Guess what I did for them? I dumped everything I had on these seven people. Can you imagine us in a room for a day? It was like Shallow Hal stuck in the elevator. But then I changed my filter. I changed my pricing, and I changed the size and venue for my seminars. Instead of intimate sessions in my living room, we were doing events at Madison Square Garden and people could learn from everyone else sitting there, which added even more value and reshaped the entire experience of the service. In many ways, it’s the same core product, but a different filter can make massive difference. Entrepreneur: How can an entrepreneur become a better person in order to become a better business owner? Robbins: People may come to my events to change their business, but I’m also here to help them change their lives. We all want to take both our business and our lives to the next level, and your business is a beautiful vehicle for doing that — it gives immediate feedback whether you’re in the right state, whether you’re telling the right story, whether you’ve got the right strategies. And it can provide a vehicle for your economic freedom and an expression of what you value most. It’s important to remember that most people spend more time in their business than they do with their children, or with their spouse. For most business owners, the business is just an extension of their identity. So when we can help people make a shift or a dramatic change in their own psychology, that spills over to impact their business and every other area of their life. If you’re able to meet your top needs in a positive way, then your life will improve. Similarly, if your business is able to first identify, and then meet, your clients’ top needs in a unique way, then you will develop a raving fan culture. Whether you’re becoming a better person or a better business owner, it’s really all connected.